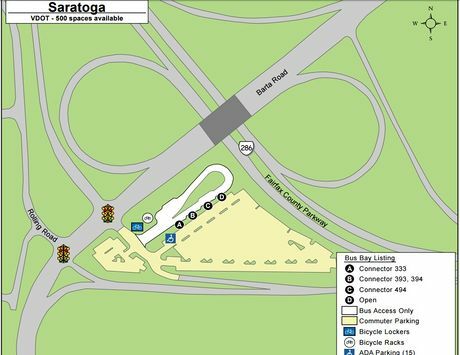 Saratoga parking lot is right off the new section of the Fairfax County Parkway, provides an easy access to I-95. Slugs use this line along with Sydenstricker's Rd and Rolling Valley as all the SlugStops destined to go to Pentagon. This lot is not yet active but we are trying to organize those that would use it if it were an option. For updates please check out this Facebook group. Our launch date is January 14th, 2019! I hope you will join us!